Our rustic furniture is handmade of forged iron, handcrafted wood and cast aluminum. We sell both modern, rustic and hacienda style furniture. The category includes colonial wooden armories, Spanish dressers and China cabinets. 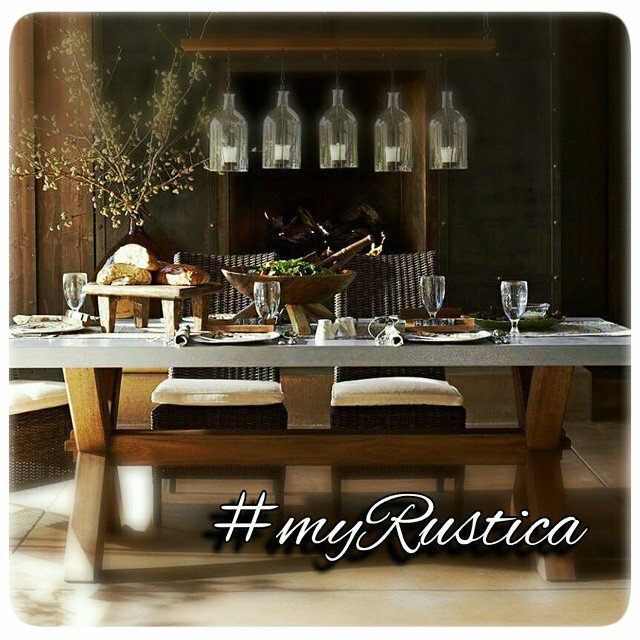 Rustica House metal furniture was designed for living rooms, patios, gardens, verandas and parks. The pieces come in natural, black iron and hand painted colors. Often, folk art and Mexican designs are used indoors and outdoors. Even though most of our customers purchased them for residential homes, there is a large and growing number of buyers for rustic furniture among commercial establishments such as restaurants, bards and dineries. It is especially true when our equipales from Mexico are concerned. They consist of durable dining sets, chairs, stools and tables.